St Eustatius – Statia for short – is the least touristy destination in the area and the Historic Gem of the Dutch Caribbean islands. Statia was once the busiest and economically most thriving island in the Northeastern Caribbean, lots of the old buildings have remained and the signs at them tell the story of the Golden Rock’s old times. 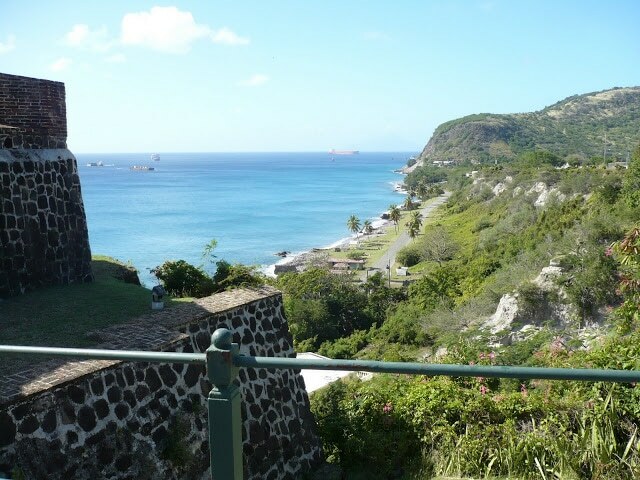 Statia is home to more historical artifacts per square meter than any other country in the world. Book a History Tour with one of the guides of the Historical Foundation. A rich history is not all Statia has to offer, St Eustatius has more protected nature parks than Saba and St Maarten put together and is wonderful for hikers, bird lovers and scuba divers. Statia has quite a few species of special interest among her flora and fauna, for example Statia Morning Glory, a flower only growing on Statia and the endangered Lesser Antilles Iguana which we don’t have on St Maarten anymore. 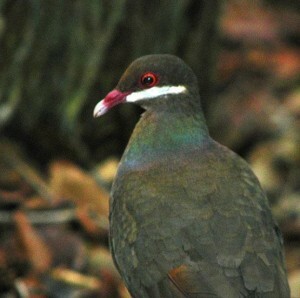 For photos of Statia’s wonderful nature visit EcoProfessionals Statia. 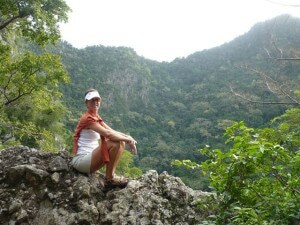 and their page on Facebook Ecological Tours of Statia. It’s a miracle Statia is still very much off the beaten track, enjoy it while it lasts! From St Maarten the only way to get to St Eustatius is by plane. Winair flies to Statia daily, the earliest flights from 7 am and then return at 6.30 pm. The flight is 25 minutes in a small propeller plane and costs $165-$250 return. Statia is great for birdwatchers, she is the home of the second largest nesting colony of the Red-billed Tropicbird in the Caribbean, and probably the one with the easiest access: from a beach. Most Tropicbirds will be visible from October through to June when they’re nesting. Statia has no salt or fresh ponds, but she does have an ancient tropical forest in the crater of dormant volcano The Quill, a birding trip to this forest involves a good shaded hike and will take up most of your day. We recommend going on a birding tour with Hannah Madden from EcoProfessionals, she is studying Statia’s wildlife and doing a thesis on the Red-billed Tropicbirds. She’s the perfect St Eustatius birdwatching guide. 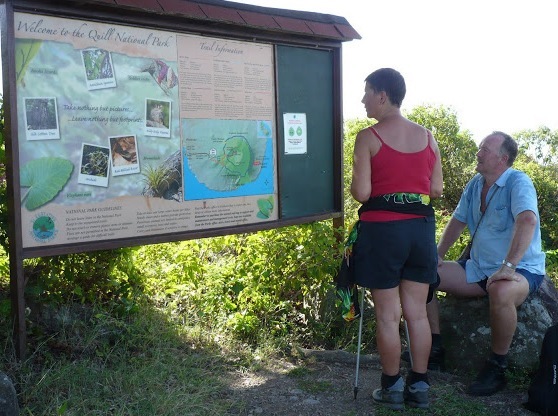 Statia has lots of well kept hiking trails by Stenapa, St Eustatius National Parks. At their office in Lower Oranje Town you can find maps of the trails for $6. There are hikes along historical sites, from beaches to hill tops and up the slopes and in the crater of dormant volcano The Quill with its lush and tropical forest in the center. Hannah and Celly from EcoProfessionals organize wonderful guided hikes. For $40 to $50 per person – depending on which hike – you’ll have an excellent guide who will share her or his wealth of information on the island’s history, flora and fauna with you. In the Botanical Garden you can leisurely stroll around and enjoy Statia’s plant and bird diversity, in the mornings on weekdays rangers from Stenapa are available for a 1-1.5 tour of the gardens. A $5 donation is requested. Statia has a couple of beaches, it’s easy to go snorkeling in the Caribbean Sea in the bay of Oranje Town where one can enjoy marine creatures now living on and in between the submerged ruins of the old warehouses. Both diveshops can take you out on a snorkel trip to the wonderful shallow coral gardens Statia has. Scuba diving in Statia is absolutely excellent and to be honest St Eustatius is our favorite diving destination in the Leeward Islands. From long and shallow dives to short and extremely deep dives, they all offer stunning underwater vistas and an abundance in corals, fish and other marine life. And basically no other divers around. When diving the Blue Bead Hole you might be lucky enough to find one of Statia’s blue beads, these were used in the days of the slavery trade as a means of ‘payment’ to the slaves. When slavery was abolished on the Dutch Islands in 1863 the freed people threw their beads into the ocean to celebrate their freedom. 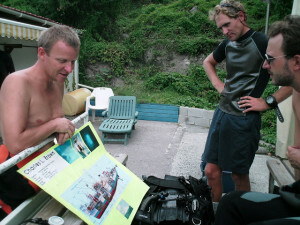 We’re happy to help you book your dive trip to Statia, we love going out with Scubaqua. Camping in the Caribbean, why not? Nice and affordable and back to nature. When you’re an Eco lover you might as well go all the way and go camping on St Eustatius. Wake up with tjirping birds, the sound of scurrying lizards and smell nature as dewdrops dry up in the warmth of the rising Caribbean sun. The Congo Preserve Camping Ground is in the area where freed slaves used to live. Today there are facilities such as a picnic table, a bathroom and a basic kitchen. 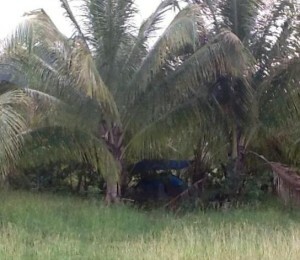 On the grounds of the preserve you’ll find Joshua growing all sorts of organic tropical fruits and vegetables. It’s $25 per night for a camp site, on this site you can put up one tent for two adults. No tent? No problem, these are available too. Contact us for Joshua’s email address. It’s of course worth visiting Statia for longer than just one day, we’ve stayed at remotely situated Statia Lodge, and centrally located Golden Era Hotel and the lovely Papaya Inn and are happy to share our experiences with you. Send us an email with when you’ll be on St Martin and what you would like to do on Statia and we’ll help you organize your trip to this great Eco tour destination.